Quite a good match. Both guys are big and physical. This was a good match of strength and agility. As it went along there were a very very good near falls that made the last portion of the match especially exciting. Very good way to start the show. Replay of segments of The Rock on RAW. Pretty good match. It was kind of a typical Dudley Boyz match, but The Ascension was able to stop (or at least delay) some of the Dudley Boyz’ signature moves. At times, well… most of the time the Dudley Boyz feel like a special attraction rather than an actual part of the roster. They just kind of go about their business and play to the crowd with signature moves and phrases from years ago. It can feel unnecessarily predictable. This match wasn’t too far away from that, but I think The Ascension at least made it a little interesting. Jojo welcomes Rusev and Lana. Rusev and Lana tell Jojo that he will not be affected by Reigns putting him through a table on RAW. Nothing affects the super athlete. RAW Rebound featuring Triple H’s victory celebration and the announcement of the triple threat number one contender match at Fastlane. Surprisingly, this was a good match. I think it helped that they were given a good amount of time for the match to develop. There were some good near falls and the ending was quite good. Both guys showed a lot in this match. This was a good show. The tag match was pretty average, but both singles matches are definitely worth watching. This match surprised me. I really enjoyed it, and I think the fact that I expected nothing made me enjoy it a little more. 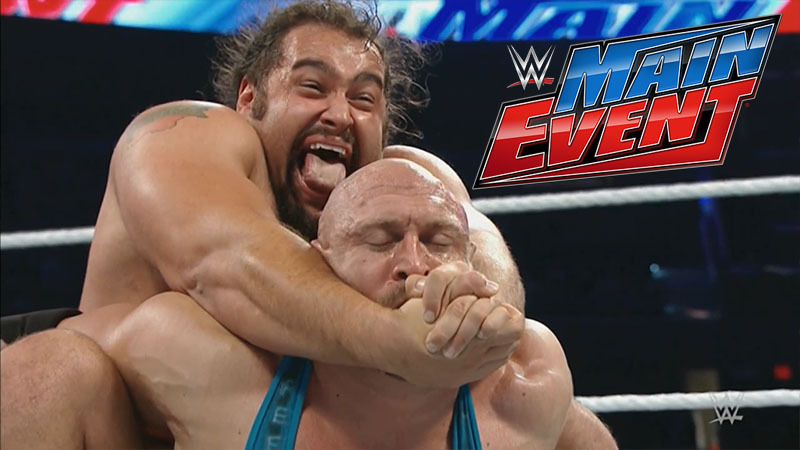 It’s not the greatest match ever, but for Main Event and for these two guys (well, Ryback mostly) it was very good.